Avicii’s work is a perfect example of quality modern dance music. This article explains why I like Avicii so much. I write my own songs and I make electronic music and Avicii is definitely one of my idols. 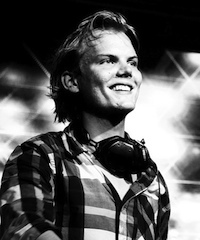 He was born in 1989 in Stockholm, Sweden and his name is Tim Bergling. He is an electronic musician, DJ, and a record producer. Avicii is his stage name. The genre of his music is electronic dance music (EDM), progressive house, country, and electro house. 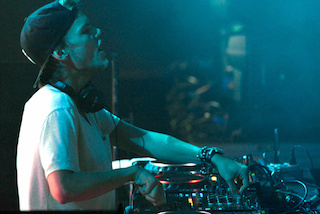 Avicii launched his career in 2007. At the time he was writing and producing his music in his bedroom and posting it on Internet forums so people could listen to it. He quickly became very popular and was soon signed him up with Dejfitts Plays record label. He has subsequently become an international star, which is an amazing achievement. His early songs sounded very much like progressive house and were quite mainstream and he became popular very quickly in Europe’s club scene. Dance tracks like ‘Bromance’, ‘Rapture’, and ‘The Sound of Now’ are all singles that I think are brilliant because they are perfectly in the moment, just what people were waiting for! ‘The Sound of Now ‘ is especially good because of its vibrant tech house sound. His first studio album came out in 2013 and is called ‘True’. It is my favorite album because it has lots of diverse sounds and different genres of music blended with dance music. This was a surprise for Avicii fans who were used to his progressive sounds. ‘Wake Me Up’ for example, is a mixture of country and electronic dance music, and ‘Liar Liar’ is not really dance music at all, it is extremely laid back and mellow, and a real departure from Avicii’s usual sound. This album shows that he’s developing a new wave of dance music, which is very exciting. I like Avicii so much because he inspires me to make my own electronic dance music. Nobody has a sound quite like his, mixing country with EDM. It is original and works brilliantly. In 2014 Avicii released a new EP called ‘The Days/Nights’. Again, it has a country sound mixed with electronic dance music, which I love. Avicii is not a singer so he features vocalists in his music and Robbie Williams sings in ‘The Days’. Below is the music video of ‘The Days’, which is very creative and clever. It shows the artist INO spray-painting the lyrics of the song onto a white wall. At then at the end it shows the profile of Avicii’s face, and the artist splashes the whole thing with bright colored paints, making a enormous portrait. His shows are exciting and they attract enormous crowds and I have included a video recording of Avicii’s show in the @ iTunes festival in 2013. I hadn’t heard any ofAvicii’s music before visiting this article. I listened to The Nights. He has a nice upbeat sound. Have a successful new year. Thank you for reading my article. I really appreciate your time. Glad you liked the music. Hi Danny, thanks for your comment. I have heard of Wham and I know that song too!! Music is my passion. I really appreciate your time. Thanks again. Well I never thought I’d ever read anything written by someone born in 2000. And ‘Wake Me Up’ is for sure a great song – very fresh, as you say. It’s on my MP3 player, as it happens, right above ‘Wake Me up Before You Go Go’ by Wham. You wont have heard of Wham.